the happygirl: Where are you decisions based? Where are you decisions based? I was having lunch with one of my friends and he started having an anxiety attack about his future, He's in a place of flux. Literally his life could go one of two ways and he was stuck on which path to take. 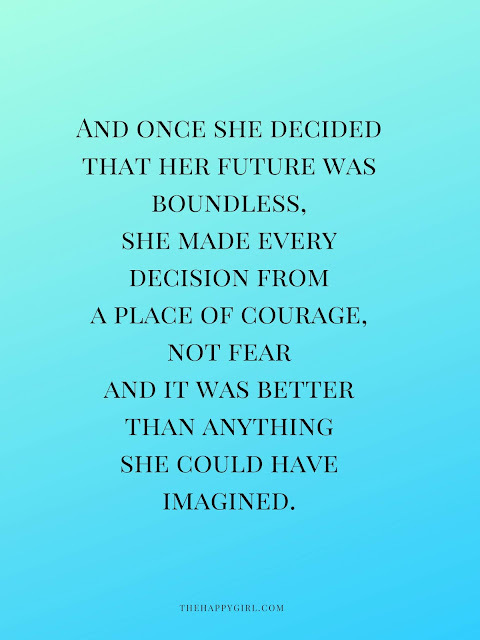 I told him that I believe that we know what a decision should be but we can become so focused on the fear of "What if?" that it can be hard to make a choice. "What if I don't take this job? What if I take the other job and they lay people off? Then I'll have no job. I'll be homeless." "What if I move in with him and then he meets someone else?" "What if I choose the college that I've always wanted to go to but I know that I could make more money down the road by going to the college my parents want me to go to? The answers all come down to this: You have survived every bad thing that has happened to you in the past. If, God forbid, the worst happens and you choose poorly (so you think), then you move on, like you always have. You move out and enjoy the fact that you escaped a future with someone who doesn't deserve you. You thrive in your #1 choice and work hard to achieve your goals once you graduate. 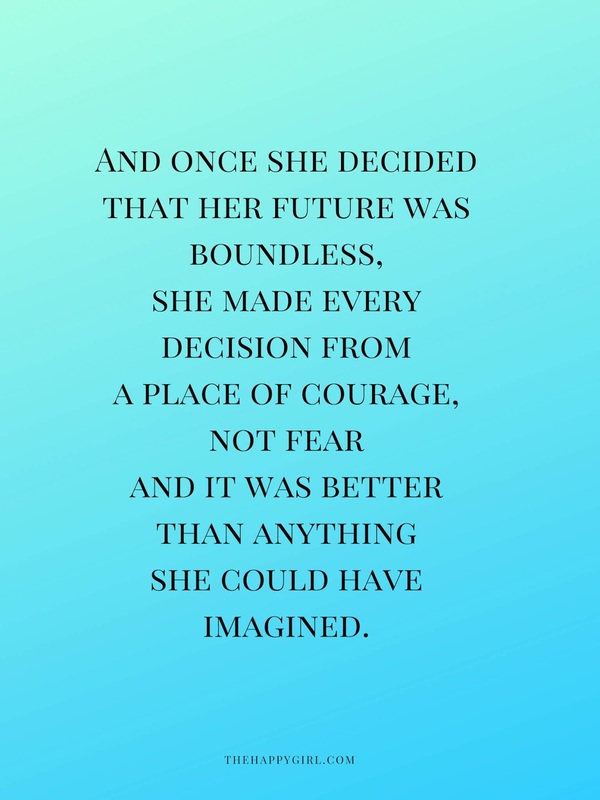 I think about the times when I have made choices out of fear and I realize that I was never quite steady in that choice. I wavered, I didn't give it my all. You can't succeed or be happy if you are focused on the negative or what could happen. I'm not suggesting that you don't buy insurance or otherwise make smart choices. What I am saying is that you have the power to choose wisely. Lean into your decision. You are smarter than you realize. Once that soul of yours works together with your heart and your mind, you are an unstoppable force. Operate from a place of certainty that you have the power to create a future that is wildly perfect. Take the right precautions to ensure that you will succeed. Maybe that means talking with a therapist, meeting with a career mentor or talking with a financial planner. Know that whatever decision you make is the right one if you come at from a place of positive energy. And if, by chance, the decision is wrong, pick yourself up, like you have always done so well, dust yourself off, regroup for a moment and move on. As far as my friend goes, we talked through his two choices and I suggested that he close his eyes and imagine both scenarios. In which scenario was he smiling? During the rest of the lunch we talked about other subjects (What we thought about meal prep delivery plans. Why is iced tea so much better at restaurants than at home?). As we paid the check, he smiled at me and said "You know, I'm going to do it. I'm moving across the country. It's wild that I'm doing this but yeah. Wow!" I couldn't help but tear up with happiness when he recently texted me a picture of himself goofily smiling with his newly adopted dog in his new city.